My daughters, Mallory and Eileen, have been tanning Buck’s (the deer my husband shot last fall) hide. They would have liked to do a brain tan, but a bear stole Buck’s head, and although it was searched for, it has never been found. They didn’t like the idea of purchasing brains of another animal to do the job, so they looked for alternatives. They decided to go with a “mock brain” or egg tan. I can only tell you that the eggs were left in the tanning bucket for a little too long which caused such a stench as to never be forgotten. At any rate, we were left with a dozen egg whites that I did not want to go to waste. I decided to bake an angel food cake. Sift flour with 3/4 cup sugar 4 times; set aside. Beat egg whites, cream of tartar, salt and vanilla until stiff enough to form soft peaks, but still moist and glossy. If you have gotten yolk in to your whites, you may as well toss them, because you will not be able to get them to form peaks. 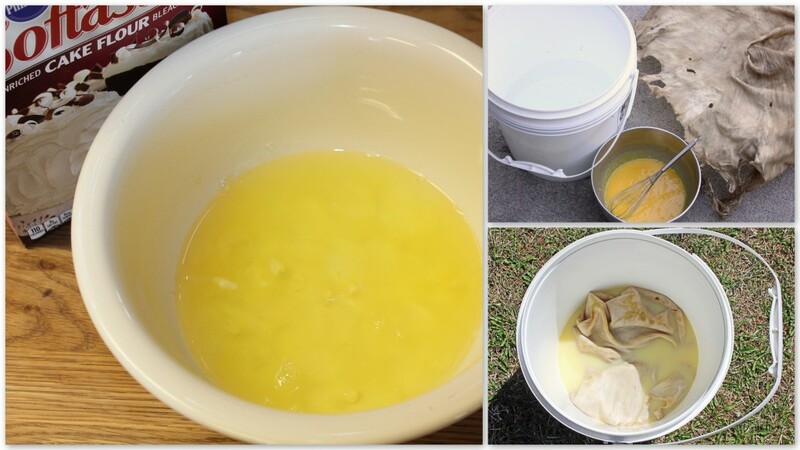 Add remaining 3/4 cup sugar, 2 tablespoons at a time, and continue to beat until egg whites hold stiff peaks. Sift about 1/4 of flour mixture over whites; fold in gently. Repeat, folding in remaining flour by fourths. Pour batter into ungreased 10-inch tube pan and bake in 375° F. oven for 35 to 40 minutes or until done. Cake will bounce back when gently pressed with a fork. Invert cake in pan. A long-necked bottle is good for this. Once cake is cool, remove from pan. This cake is light and delicious and wonderful served with berries. The source for this recipe came from my NOPSI cookbook. 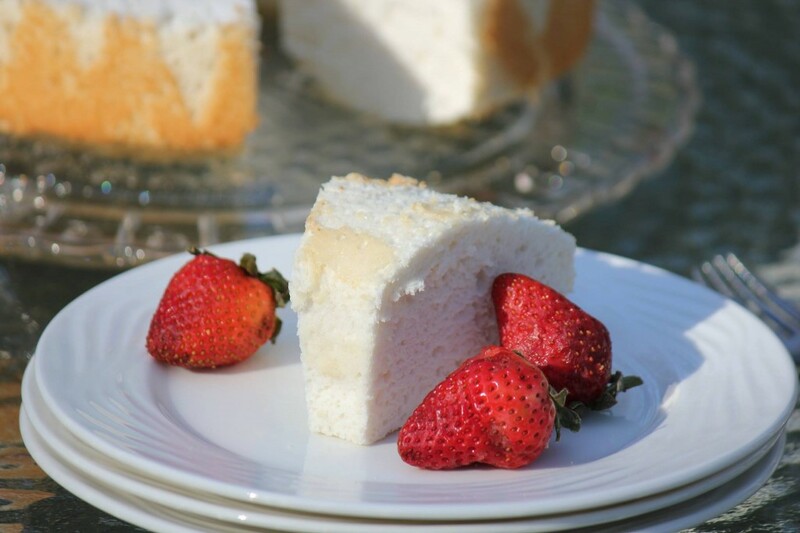 Cookies and Sweets, Recipes angel food cake, cake, Cookies and Sweets, recipes. permalink.